Have you ever had to deal with trying to make changes onto a site? Imagine being able to add, edit, or delete content and images right from any given page on a site without needing to log into WordPress or any other admin system. This is what Barley is doing and will begin letting others implement on their own sites beginning May 1. Barley says that it has received interest from developers and businesses curious to use its service and in order to properly scale things, it is slowly going to open the doors to new users at a rate of 500 invites at a time. It did not disclose specifically how many people are on the waiting list, but did say that there are thousands of potential users and the entire process could take several weeks. Anyone who wants to receive an invitation will have to sign up by noon PST on April 19. Started as an offshot product from Plain, a company founded by the former tech evangelist of Viddler, Colin Devroe, its former product manager Jeff Johns, and freelance designer Kyle Ruane, Barley allows in-line editing across any website. Devroe tells us that the inspiration to create Barley emerged when both he and Ruane were hacking on an idea to enable someone to sell a house, boat, or a car on a well-designed page. Seems pretty straight-forward, right? Yes, but the key here was that the seller was able to make the change to the site without ever needing to use a defined form, such as what you might see with a WYSIWYG (“What You See Is What You Get”) editor. When implemented, things such as the title, photos, body copy, and anything else could be edited just by a single tap — and it would work on any medium: computer, smartphone, and tablet. It wasn’t until February 2013 when all the pieces were assembled and the three partners formed Plain, that Barley came to exist. Interestingly enough, Plain’s first post announcing its creation was done using the content editing service, which Devroe claims helped garner 125,000 page views. Costing $18 per month per site, Barley functions as a platform that rests on top of an existing website. While some might think that it’s looking to take on the likes of WordPress and Squarespace, Devroe doesn’t think that’s the case. 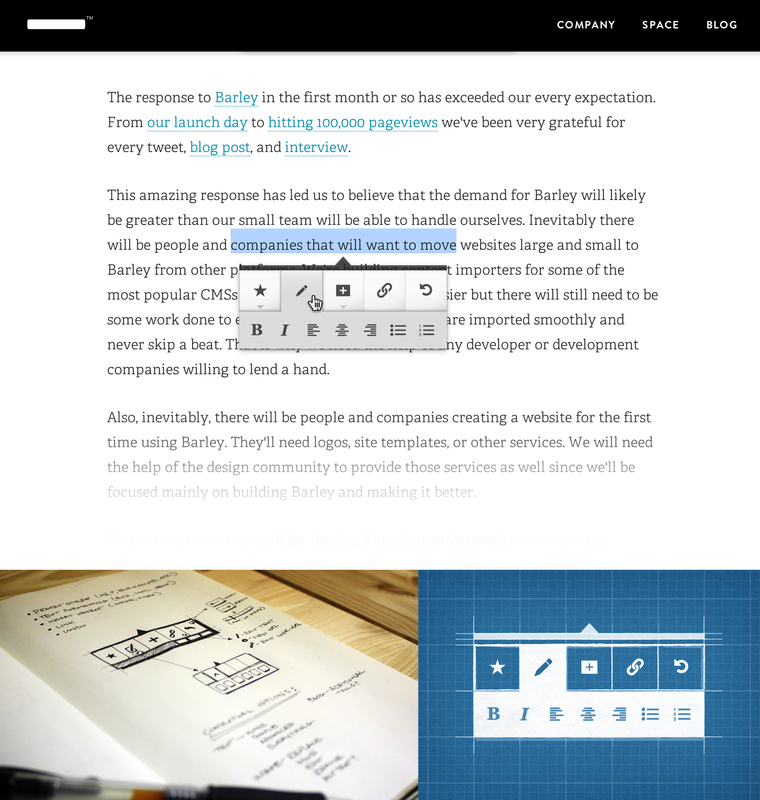 Barley is not limited to just existing pages. 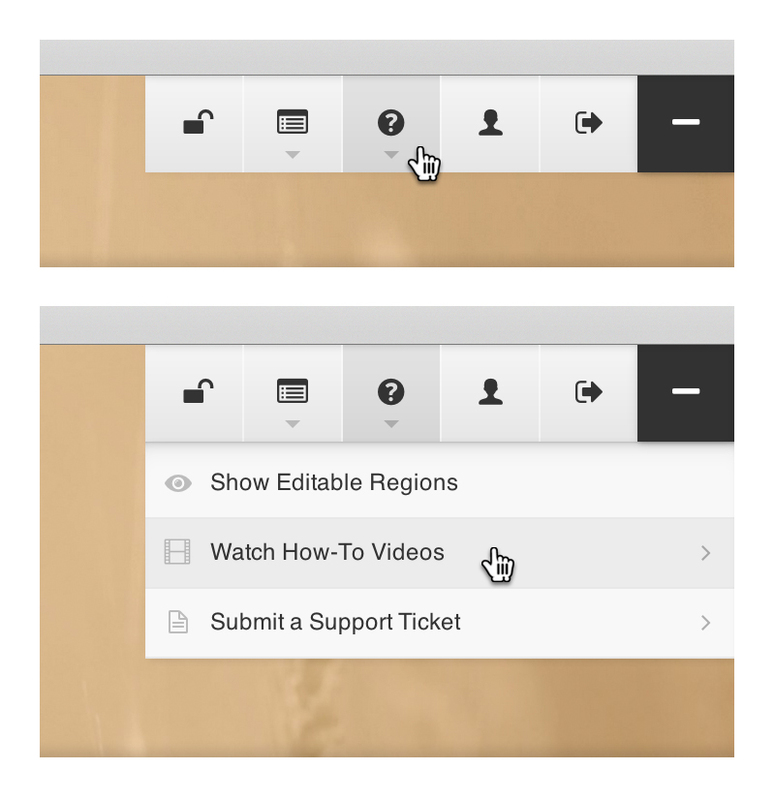 Devroe says that new pages and even blog posts can be created with a click of the mouse or tap of the screen. This isn’t the first service to offer in-line content editing. Last month, at Y Combinator’s Demo Day, Padlet publicly launched as a Web application that also allowed people to easily add content to a page. 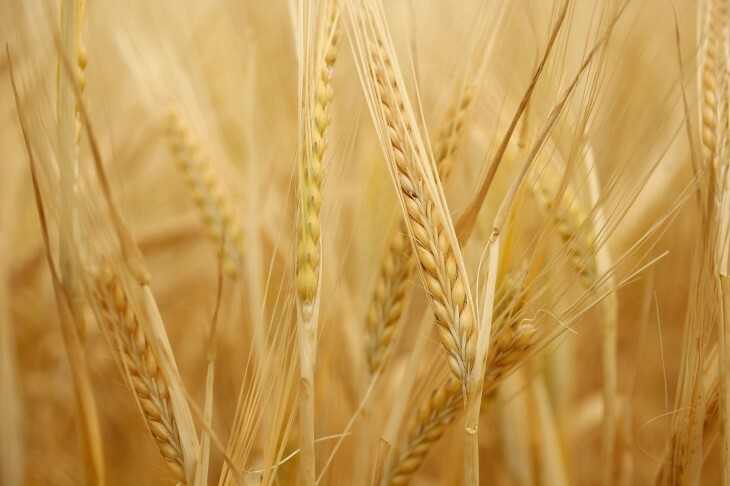 Also, at this year’s LAUNCH conference, a developer hack team put together a service called WizzyWig that functioned similarly for Barley — it also was the recipient of $125,000 in prizes as one of the best hacks. Currently Barley is being used by 10 different websites and has not received any funding outside of its partners. Devroe says that the company is in talks with some investors over interest, but that right now, it is going to see how well it’ll do right out of the gate.